As I mentioned in my Meal Plan post this week, we had two new recipes to try, both from a recent issue of Sunset magazine. 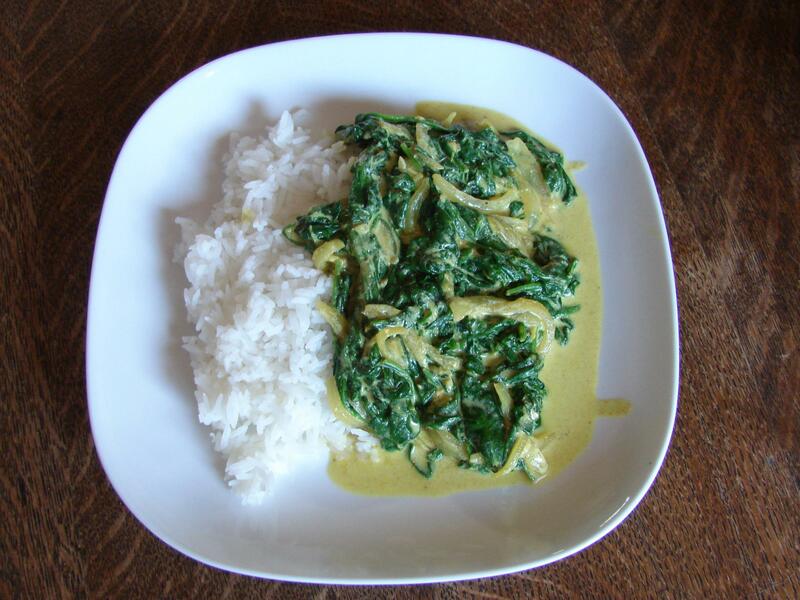 The other night we made the Indian Saag with basmati rice. My non-celiac husband also had some naan (Indian flat bread) with his. I really enjoyed it. My husband on the other hand, wasn’t too thrilled with it, mainly because it is almost entirely spinach! He and spinach don’t get along so well, perhaps too much fiber? Or is that too much information? (I may get in trouble for this review!) But, when pressed he said it was good. But I am not sure it got the ‘make it again’ vote from him. In a large pot, cook the onion in the oil until soft, about 10 minutes. Add the garlic and cook 1 minute, being careful not to burn it. Add the ginger and spices and cook about 1 minute. (It may be helpful to have all these measured out into one little bowl and just dump in all at once.) Add about 1/4 of the spinach to the pot and stir it in, allowing it to mostly wilt and then add more spinach in batches until all of it is in the pot and wilted. Remove from heat and stir in the yogurt and salt. Serve over rice. *I used two medium onions, we like onions! *I had only bought two bags of spinach = 24oz, so not quite as much as the recipe calls for. *I used non-fat plain yogurt as I save my Greek yogurt for breakfast. The turmeric turned it nice shade of yellow, which I wasn’t really expecting. I don’t recall restaurant Saag looking so yellow, but I think it may have been a combination of a couple of things I changed while cooking. Like I said above, I had less spinach than called for. I also did not measure out the yogurt exactly, so there might have been more and this made it more soupy. It was also regular plain non-fat yogurt and not the thicker Greek yogurt. But all in all, it was a great dish and the rice soaked up the extra yumminess of the sauce well. Next time I think I will try it with Greek yogurt or reduce the amount of yogurt to reduce the sauce (or just measure it). I will probably also use more onions as I love onions cooked in Indian spices. And now for the slaw. In a measuring cup, mix up the oil, lime juice, soy sauce, sugar and chile flakes. Slice the tofu into 8 slices and place slices on a clean tea towel, wrap the tea towel over top the tofu and place a heavy pot or cutting board on top for about 10 minutes to absorb some of the water. Preheat broiler. In a large baking/casserole dish, place the tofu slices flat and spoon over about half of the oil and lime mixture. Allow it to sit for a few minutes. Maybe flip it over once. Meanwhile, chop up the vegetables and throw them into the bowl. Mix them up and then toss with the remaining dressing. Add salt and pepper to taste. Place pan of tofu on about the middle rack of the oven, under the broiler. Don’t place it too close or the oil could get too hot in the pan and catch fire (eek!). Broil for about 6-8 minutes, flip the slices and put it back in for another 6-8 minutes. Let cool slightly. Serve the slaw topped with peanuts and a couple slices of tofu on the side. 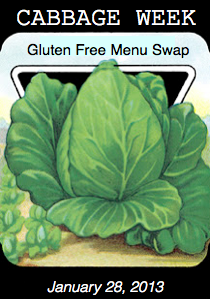 *Also known as savoy or Chinese cabbage. I actually made more than the recipe called for as I was just chopping up vegetables until I thought it was enough for us to eat and have some leftovers. Plus, I had so much cabbage, I figured I should use up as much as possible before it sits in the fridge and gets bleh because then it will just go to the chickens. And that is okay, as they love cabbage. But it was intended for human consumption first. No worries, they get plenty of scraps. So I also made more dressing since I had more vegetables but I made too much and poured it all on. I should have poured on a bit first to see if it was the right amount but I didn’t. Hopefully I learned a lesson there. Only time will tell. We both really enjoyed this. 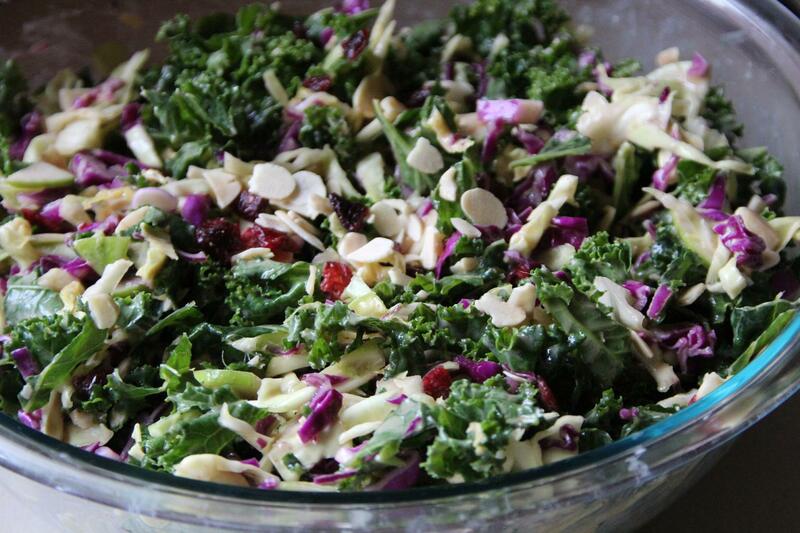 It is very similar to another slaw recipe I make but with a slightly different dressing. Sorry I didn’t take a photo, I need to get into the habit of keeping my camera in the kitchen with me. Let me know if you try it! You can also go back to the original recipe and make it with pork if you aren’t a tofu fan. But try the tofu, it is really quite tasty because it just soaks up whatever sauce or marinade you put on it. Just be sure to buy the extra firm tofu and squeeze some water out first.